Our wonderful friend, Shannon Thomas, was paralyzed 35 years ago after she was hit by a drunk driver. 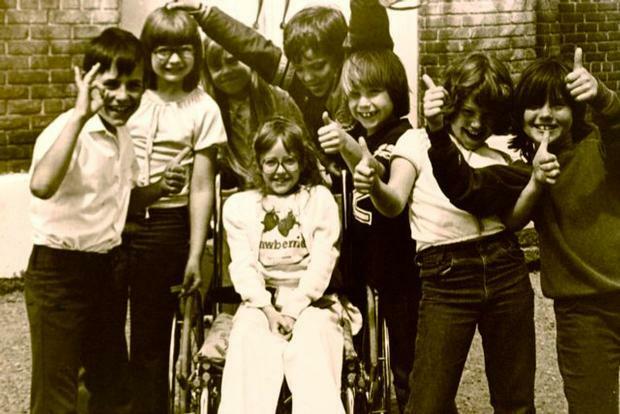 She was only eight years old at the time and has used a wheelchair ever since. Shannon has gone on to live a very fulfilling life, all the while striving to be as independent as possible. The ability to drive has been key to Shannon maintaining her independence. Her current wheelchair-accessible van recently died and Shannon has to take a cab to work, which costs $60 per day. We are asking for your help to get Shannon a safe and reliable van to drive. Shannon is a single mom to her beautiful 15-year-old daughter. She works for a Portland-based nonprofit organization, volunteers at the local children’s hospital, advocates for people with disabilities, and helps homeless cats and dogs. Having a wheelchair accessible vehicle makes it possible for Shannon to be such an active member of her community. We need your help so she can continue her happy, productive, and meaningful life. Wheelchair accessible vehicles are extremely expensive. On top of the regular price for a van, it can cost in excess of $20,000 for the modifications needed to make it accessible. None of these expenses are covered by insurance and must be paid out of pocket. To help Shannon purchase a van, a fundraising campaign in her honor has been established with HelpHOPELive, a nonprofit organization that has been assisting people who have sustained a catastrophic injury. We have chosen to fundraise with HelpHOPELive because they assure fiscal accountability of funds raised, and tax deductibility for donors. All contributions are held by HelpHOPELive in the Northwest Spinal Cord Injury Fund, and are administered by HelpHOPELive for injury-related expenses only. To make a tax-deductible donation to this fundraising campaign:For more information, please contact HelpHOPELive at 800.642.8399. Thank you for your generosity. Let’s get Shannon some wheels as soon as possible! JUNE 4th UPDATE! We are currently at $883.50 raised. Our goal is $40,000. The cost of a new van is about 40,000. The cost of the conversion is 20,000 to 30,000. We’re not trying to get a brand new van for Shannon. A used one that is reliable and safe is what we are looking for and that will be in the $40,000 range. Dear Shannon - We are all still hoping to get you a new van. BEST OF LUCK! still rooting for team Shannon.The best of luck.